Rome, the city of seven hills, is the capital of Italy. Known for its history that dates back to the era of Octavius, Julius Caesar and Hadrian, the city is famous for its historical gems. 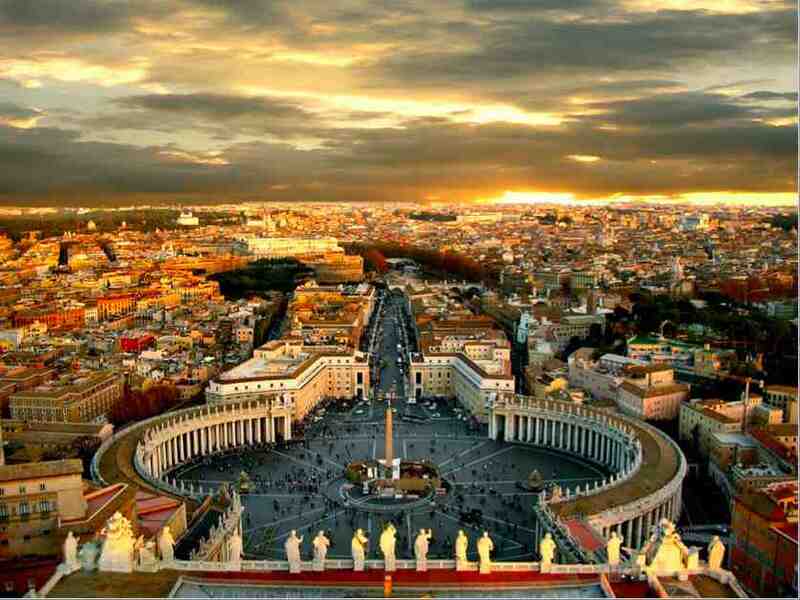 Rome is undoubtedly one of the most beautiful cities in the world which attracts tourists from across the globe. Enjoy the treasures and masterpieces of Roman art and architecture and have a trip to remember with this travel guide. Because Rome is so popular amongst tourists, it is important to choose your travel dates wisely. The best time to visit Rome is April- May and September- October. Summers are exceptionally hot which makes the city unbearable. Almost all of Italy goes for vacations in August so it might get typically crowded then. The opening hours for many attractions are shorter and some are closed altogether at the end and start of the year. Airfares are usually less during the autumn season, thus making it the best time to make the bookings. While the days are warm, the nights are cool making it the best time for a trip. A person must have a valid national passport or other document establishing identity and nationality on arrival in Italy. The passport should have a validity of at least 6 months or more. However, the citizens of following countries do not need a visa to enter Italy as a tourist- Europe, Switzerland, USA, Canada, Australia, New Zealand. It is recommended to check the official website (www.esteri.it) to confirm the visa requirements. Rome’s Flumicino airport is located 19 miles from the city. If you do not have a lot of luggage, you can take a train from the station inside the airport and travel straight to Station Termini in the heart of Rome for $12. However, make sure your hotel is close to the station. If you are carrying a lot of luggage, you can take a cab or ask your hotel to arrange a hired car pick you up from the airport. Both the options will cost around $50, but the convenience makes up for the price. You can also rent your own car but even if you are visiting other cities in Italy, it is best to avoid driving in and around Rome unless you have a lot of patience. To enjoy the essence of the city, look for a hotel in the heart of Rome so that you can simply walk out of your door into the city. 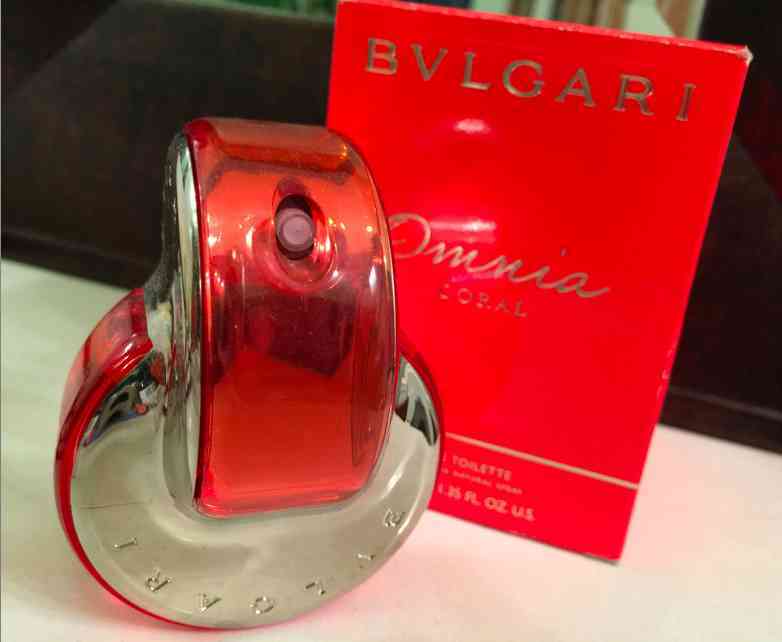 The price is definitely high, but it is worth it. Try to confine yourself to the hotels that are to the east of Tiber River and west of Station Termini. The best place to stay is the half-mile stretch between Piazza Navona and Piazza Barberini. While some hotels here might be really expensive, you can opt for small family-run hotels nearby. Rome if flooded with dining options with a lot of great places to eat. Most of the places have an outdoor seating and menus contain pizza, pasta, veal, chicken along with some sea food options. If you are confused, simply decide on the view you want to have and pick a restaurant based on that. Restaurants at Piazza Novana offer beautiful views of its numerous fountains while cafes at Piazza della Rotonda face the Pantheon. For a evening beer, head to Piazza di Campo del Flori near the Pantheon or Trastevere. Most of the restaurant’s wine is excellent so definitely treat yourself to some.During summer, most of the Roman restaurants are open till ten in the evening. Even if you are not big on doing the touristy things, do not overlook the big names in sightseeing. They have been famous for centuries for a reason. Colosseum / Flavius Amphitheatre, Pantheon, Roman Forum, Circus Maximus, Capitoline Hill, Castle St. Angelo, Baths of Caracalla, Ara Pacis Augustae, THE VATICAN- St. Peter’s Basilica, Vatican Museums, Sistine Chapel, SQUARES AND FOUNTAINS- Trevi Fountain, Piazza Navona, The Spanish Steps, Trinita dei Monti, Campo de’ Flori, Piazza del Popolo, Famese Palace, Quirninal Palace PARKS & GARDENS Villa Borghese Gardens. Rome is a city that needs time to explore. Plan your visit to a small section of the city each day giving yourself enough time to enjoy the beauty of the city. Get yourself a handy map of Rome and connect Spanish Steps at the top, Station Termini on the right, Aventine Hill in the south and Piazza Navona on the left. The area within these four points covers two-thirds of Rome’s attractions. You will need at least two-three days to cover everything within this area including the tour of the ruins of ancient Rome (the Colosseum) which could easily be a one-day affair. Places to visit outside this area include Vatican City, Castel Sant’Angelo and Villa Borghese. 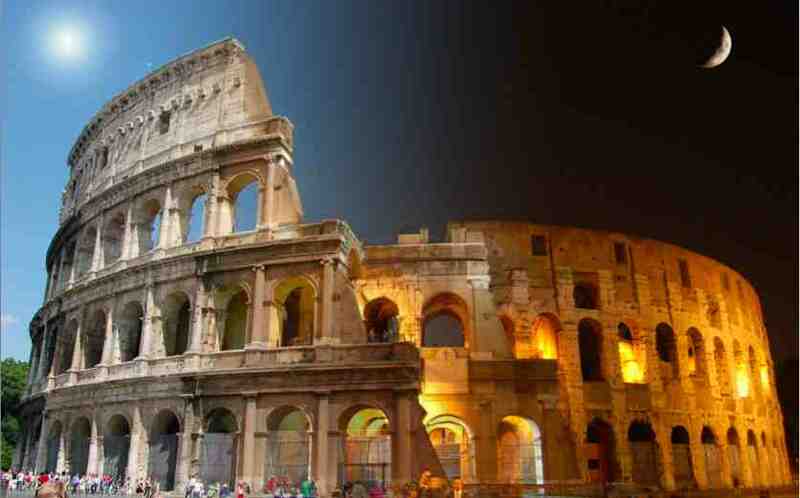 Rome’s subway system is a great mode of transport for visiting these attractions. A one way ticket costs less than $1 or you can also buy tourist tickets like BIT or CIS which offer unlimited rides. BIT is a 3-day ticket while CIS is valid for a week. Both BIT and CIS offer unlimited rides on Atac or Cotral buses, subways and some local trains. Roma Pass is another type of ticket which offers transport and two museums free of charge as well as discounts for all other museums and major events in Rome for a 3-day pass.It is available in all museums and Tourist Information Points. Save the tourist attractions closest to your hotel for the end as they will be the easiest site to visit when you are short on time. You won’t typically run out of things to do and places to visit even if you plan a week long trip to Rome. From historic tourist tours through ancient Rome to Sunday morning shopping at Porta Portese flea market to climbing to the top of St. Peter’s Basilica, this city has a lot to offer. However, if you are short on time, allow at least four days to enjoy the beauty of Rome. There is no point in cramming your schedule in trying to cover the entire city in two days. Rome wasn’t built in one day and can’t be seen in one either. 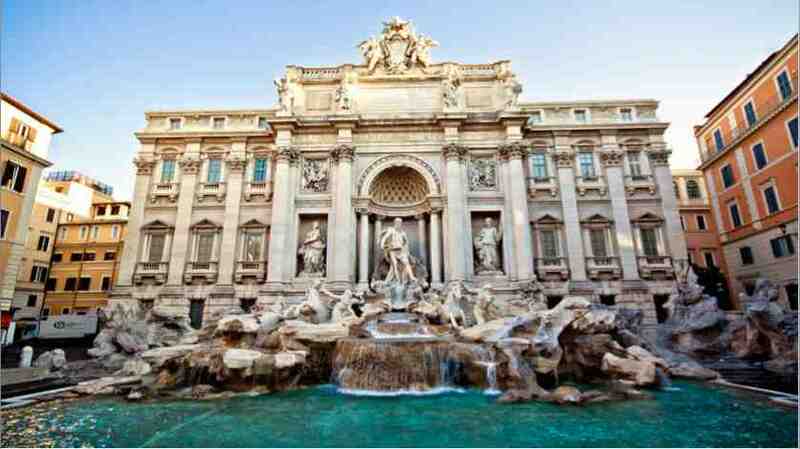 You can increase your chances of returning back to the city by tossing a coin in the Trevi Fountain, as the legend goes. Plan your trip over the last Sunday of the month to visit Rome’s two most popular museums for free- The Vatican and Musei Capitolini. Travel Guide Rome – First Time Visitors?